Fall Protection – With nearly 5,000 citations, falls represent a serious hazard to workers, especially those in the construction industry. 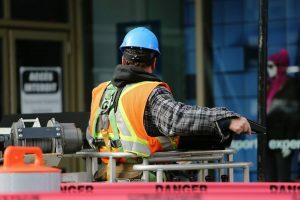 Many employers received citations for not providing construction workers with fall protection, including guardrails, safety nets, personal fall arrest systems like harnesses, or alternative fall protection measures. Hazard Communication – In workplaces teaming with potentially hazardous chemicals, it goes without saying that employees should understand what they are dealing with. However, many citations were issued in 2018 because employers did not provide information or training to employees regarding potentially hazardous chemicals in the workplace or imported to the workplace. Scaffolding Falls – Falls from scaffolding is a common occurrence yet many employers and their supervisors continue to cut corners by not providing fall protection for workers on scaffolds. Citations include not fully planking or decking each level and not erecting guardrails, leaving gaps where workers can fall. Respiratory Protection – Employers are required to establish and maintain a respiratory protection program to include worksite specific procedures, respirator selection for the job, employee training, fit testing, medical evaluation, respirator use and respirator cleaning, repair and maintenance. However, many employers fail on various levels of these requirements putting employees at risk for inhaling materials that pose a hazard to employees’ health. Lock out Tag Out – During servicing and maintenance, it is vitally important to control the area to prevent use of machinery, yet many employers fail to develop, document and utilize procedures to control hazards. Ladders – Citations include using the wrong ladder for the job. Employers were often cited for utilizing ladders too short to gain access to an upper landings, making the journey up or down hazardous, and for using ladders in need of repair. Machine Guarding – Employers are often cited for not guarding machinery to protect operators from hazards including nip points, rotating parts, flying chips and sparks. Personal Protective Equipment/Eye and Face Protection – Most violations stem from employers failing to ensure that employees use appropriate eye or face protection when exposed to flying particles, molten materials, liquid materials, acid or caustic liquids, chemical gases or vapors, and potentially injurious light radiation. Employers have a responsibility to provide a safe workplace under OSHA law. When an employer fails to adhere to rules and regulations to reduce hazards, employees can be at higher risk for a workplace accident injury. If you have been injured at work, contact the workers’ compensation and personal injury lawyers of McDonald, Woodward & Carlson PC for a free consultation at 563-355-6478.